Waitress is gettin' cookin' for a cause! October marks Breast Cancer Awareness month, and the entire company is thinking pink to promote awareness and raise funds for Susan G. Komen Greater NYC. On top of relaunching the Waitress Pie Challenge (where lovely individuals donate and pie themselves in the face on camera—think #Ham4All or the Ice Bucket Challenge), a Charity Buzz auction where you can score swag (tickets and costumes signed by Sara Bareilles, for example) and a line of pink products audience members can snag at the Brooks Atkinson Theatre (pink pie? we're on board), the waitresses in the cast will don pink costumes as opposed to the traditional blue. Waitress ladies Maia Nkenge Wilson, Stephanie Torns and Caitlin Houlahan revealed the look at the theater on September 27. Take a peek at the hot shot as well as Bareilles' super sweet post below. 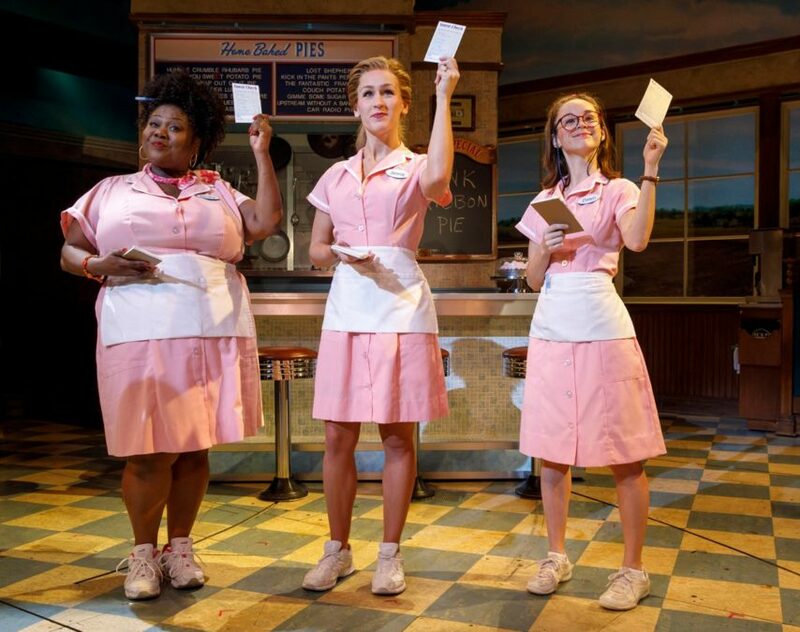 Hats Aprons off to the company of Waitress!